In recent years there has been an ongoing debate in the fitness industry about food quality vs food quantity. 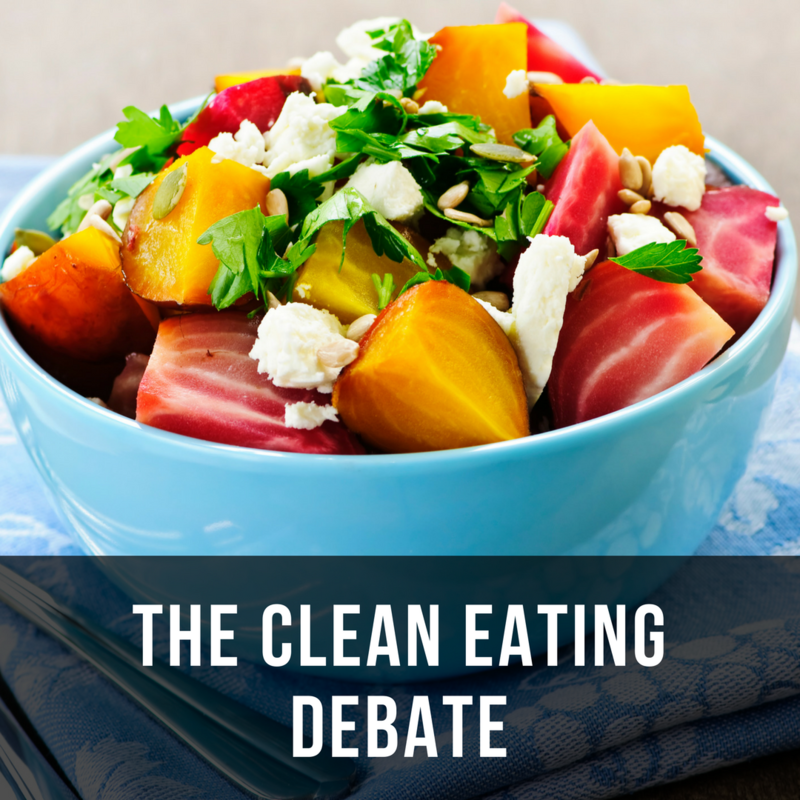 I am often asked by students and peers alike what is my stance on the whole clean eating vs IFFYM debate. I personally believe food quantity and food quality are both important and are not mutually exclusive. At the end of the day energy balance is still king. 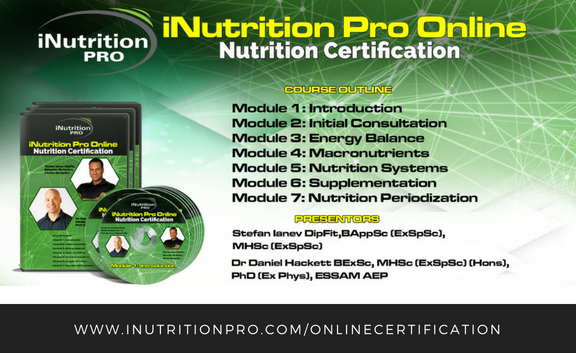 Studies have shown that any dietary intervention will work provided energy balance is controlled (1). So ultimately it’s going to come down to consuming less energy than you expand. Every effective diet plan is designed to trick you to eat less in some shape or form. Some plans do this by restricting certain foods or an entire macro group altogether, while others do it by controlling portions. The approach that will work best is the one you are most likely to stick with! But if it was all about eating less then what about those people who barely eat anything and they still can’t lose weight? For that I suggest checking out this article here. For the majority of people I prefer to use a balanced diet approach focusing on whole, unprocessed foods and controlling portions. By balanced I mean roughly an even distribution of protein, fat, and carbs, without the exclusion of any food groups in particular. Studies show dietary compliance is higher especially past the first 6 months when portions are controlled and people can enjoy a greater variety of foods vs eliminating certain foods or macros (2,3). Aside from compliance which is of utmost importance for long term success, the other big issue I have with dietary interventions which do not control portions is that they assume a person will naturally consume less calories by eliminating certain foods or macros. From my experience that’s rarely the case which is why these diets have such a high failure rate. I’ve seen people on low carb diets consuming in excess of 2kg of nuts per day and wondering why they couldn’t lose any weight. Some misguided proponents of low carb dieting believe because dietary fats do not raise insulin you cannot overeat them and advice to eat them freely. Newsflash! Dietary fats are stored by a hormone called ASP which is an even more potent fat storage hormone than insulin. Studies show people actually gain more body fat when overfeeding on fats vs carbs so it is in fact very easy to do (4). But what about when people lose more fat on a low carb vs a calorie matched isocaloric diet? The low carb metabolic advantage has more to do the thermic effect of the higher protein intake associated with those types of diets rather than insulin. When matched for protein intake and calories there is no difference between low carb and isocaloric diets accept for those who present with metabolic syndrome (5,6). Studies also show even high glycaemic carbs will have little impact on body composition in those with normal insulin function provided calories are controlled (7-13). Insulin alone cannot make you fat in the absence of a high caloric load. Insulin alone also cannot make you insulin resistant or inflamed as some low carb proponents will have you believe. Insulin resistance and inflammation are actually caused by carrying excess body fat which releases inflammatory cytokines. So body fat actually has a much greater impact on insulin then insulin does on body fat (14), and body fat is caused by excess calories, period! 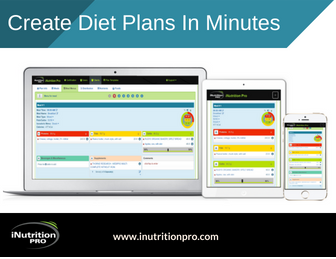 Now on the other hand I have also seen people on non-portion controlled plans drastically under eat which is also not constructive for long term dietary success as also discussed in this article here. As you can see I am very much a big believer of controlling portion sizes if for no other reason than because people have lost the ability to self-regulate their appetite. If they hadn’t we would not have an obesity epidemic. In my opinion the trick with successful long term dieting is having the experience of eating more and not feeling hungry and restricted. From a body composition standpoint studies may show food quality doesn’t really matter provided macros are controlled but certain high density foods are far easier to overconsume which is why they have been linked to inflammation and weight gain. When you consume high GI foods there is a rapid surge of insulin which causes blood sugar levels to drop rapidly which in turn makes you hungry and crave more sugar. It’s very hard to stay on your diet especially long term when you are always hungry and craving sugar. High protein, high fibre foods due to their slower digestion maintain more stable blood sugars and keep you fuller for much longer. As a result you are less like to get hungry and have cravings. verses refined starches or sugars. Many of my clients report feeling much fuller and more satiated when I put them on a nutrition plan consisting mainly of whole, unprocessed, low GI food options, even though they are most likely eating less than before. 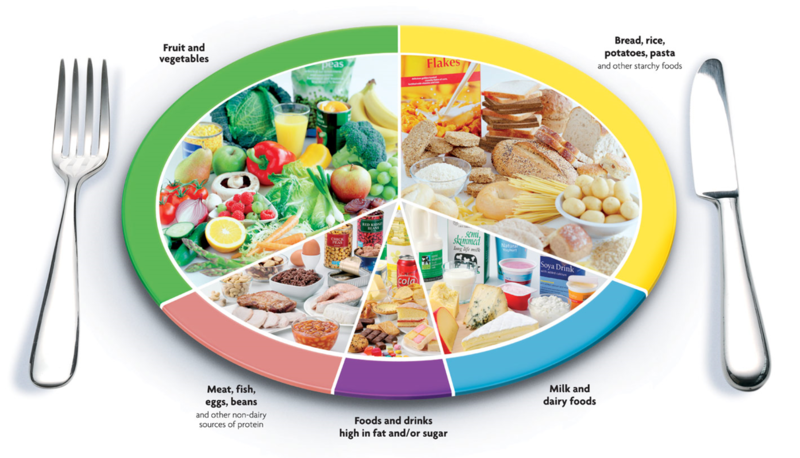 Also eating micronutrient dense foods ensures you are meeting your micronutrient requirements. This is why restricting certain foods groups or macros is not advisable as you are more likely to develop micronutrient deficiencies. As you can see I sit somewhere in the middle with this whole clean eating vs IFFYM approach. I believe in controlling portions, and for the most part consuming low GI, whole, unprocessed foods, without the exclusion of any food group. 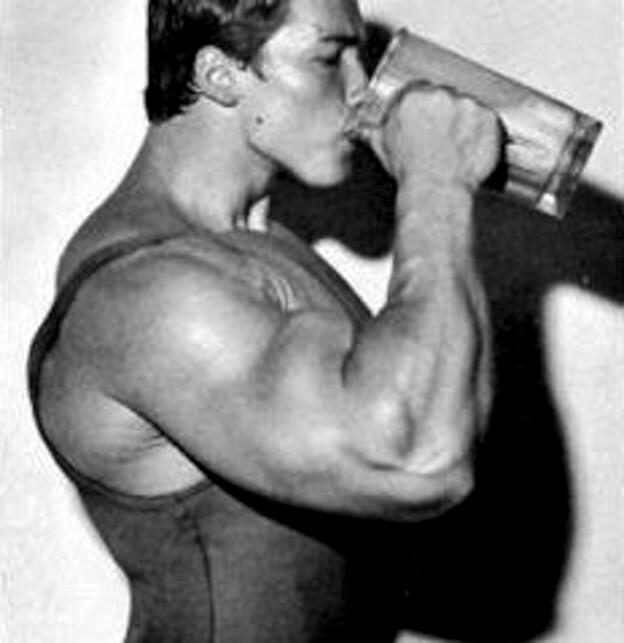 What about when refeeding or having cheat meals? Do I still think we should control portions in those circumstances? That is going to be the discussion of another article! Smith, C.F., et al., Flexible vs. 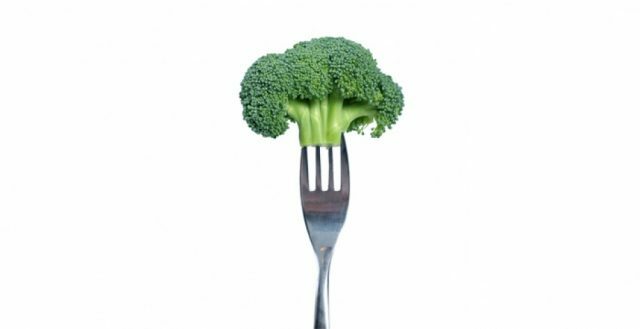 Rigid dieting strategies: relationship with adverse behavioral outcomes. Appetite, 1999. 32(3): p. 295-305. Dansinger ML, Gleason JA, Griffith JL, Selker HP, Schaefer EJ. Comparison of the Atkins, Ornish, Weight Watchers, and Zone diets for weight loss and heart disease risk reduction: a randomized trial. JAMA. 2005 Jan 5;293(1):43-53. Horton TJ, Drougas H, Brachey A, Reed GW, Peters JC, Hill JO. Fat and carbohydrate overfeeding in humans: different effects on energy storage. Am J Clin Nutr. 1995 Jul;62(1):19-29. Johnston CS, Tjonn SL, Swan PD, White A, Hutchins H, Sears B. Ketogenic low-carbohydrate diets have no metabolic advantage over nonketogenic low-carbohydrate diets.Am J Clin Nutr. 2006 May;83(5):1055-61. Hall KD,et al. Calorie for Calorie, Dietary Fat Restriction Results in More Body Fat Loss than Carbohydrate Restriction in People with Obesity. Cell Metab. 2015 Sep 1;22(3):427-36. Pittas AG, Das SK, Hajduk CL, Golden J, Saltzman E, Stark PC, Greenberg AS, Roberts SB. A low-glycemic load diet facilitates greater weight loss in overweight adults with high insulin secretion but not in overweight adults with low insulin secretion in the CALERIE Trial.Diabetes Care. 2005 Dec;28(12):2939-41. West, JA, De Looy AE. Weight loss in overweight subjects following low-sucrose or sucrose-containing diets. International Journal of Obesity & Related Metabolic Disorders, 2001 Aug;25(8):1122-8. Saris WH, Astrup A, Prentice AM, Zunft HJ, Formiguera X, Verboeket-van de Venne WP, Raben A, Poppitt SD, Seppelt B, Johnston S, Vasilaras TH, Keogh GF. Randomized controlled trial of changes in dietary carbohydrate/fat ratio and simple vs complex carbohydrates on body weight and blood lipids: the CARMEN study. International Journal of Obesity & Related Metabolic Disorders. 2000 Oct;24(10):1310-8. Raatz SK, Torkelson CJ, Redmon, JB, Reck KP, Kwong CA, Swanson JE, Bantle JP. Reduced glycemic index and glycemic load diets do not increase the effects of energy restriction on weight loss and insulin sensitivity in obese men and women. The Journal of Nutrition, 2005 Oct;135(10):2387-91. Surwit RS, Feinglos MN, McCaskill CC, Clay SL, Babyak MA, Brownlow BS, Lin PH. Metabolic and behavioral effects of a high-sucrose diet during weight loss. The American Journal of Clinical Nutrition 65.4 (1997): 908-915. Aller EE, Larsen TM, Claus H, Lindroos AK, Kafatos A, Pfeiffer A, Saris WHM. (2014). Weight loss maintenance in overweight subjects on ad libitum diets with high or low protein content and glycemic index: the DIOGENES trial 12-month results. International Journal of Obesity, 2014 Dec;38(12):1511-7. Lowndes J, Kawiecki D, Pardo S, Nguyen V, Melanson KJ, Yu Z, Rippe JM. The effects of four hypocaloric diets containing different levels of sucrose or high fructose corn syrup on weight loss and related parameters. Nutrition Journal, Aug 2012;11(1). Ronti T, Lupattelli G, Mannarino E. The endocrine function of adipose tissue: an update.Clinical Endocrinology. 2006;64(4):355–365.